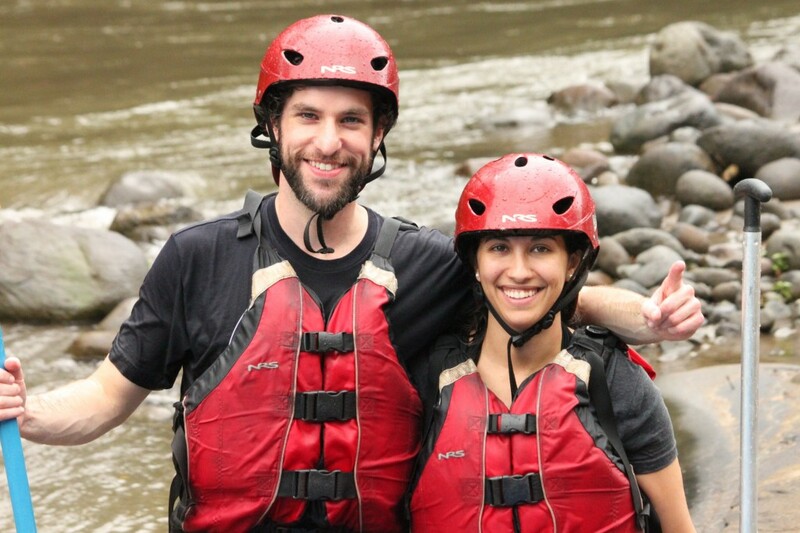 In spite of, or maybe due to, the nonstop rain that refused to let up during our stay, we opted for a water-filled activity on our first day. 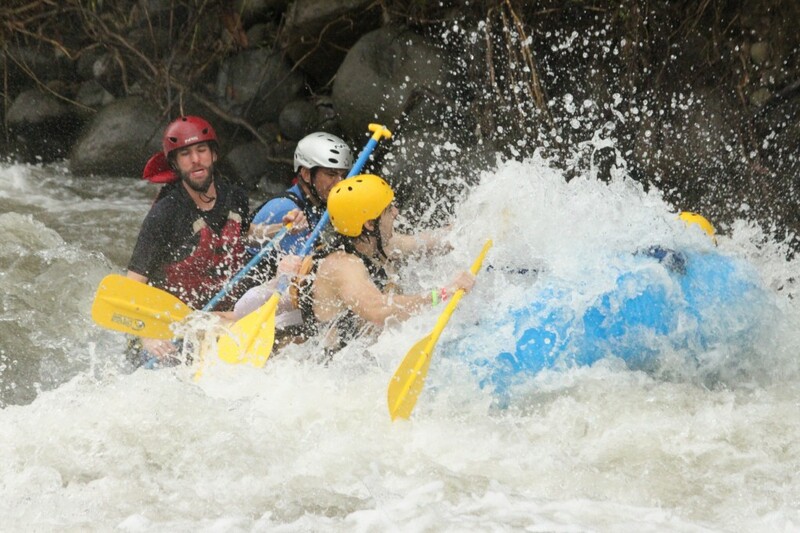 We thought that white-water rafting sounded like fun, and given our very limited experience with this activity, we signed up for a level 1-2 rafting trip. 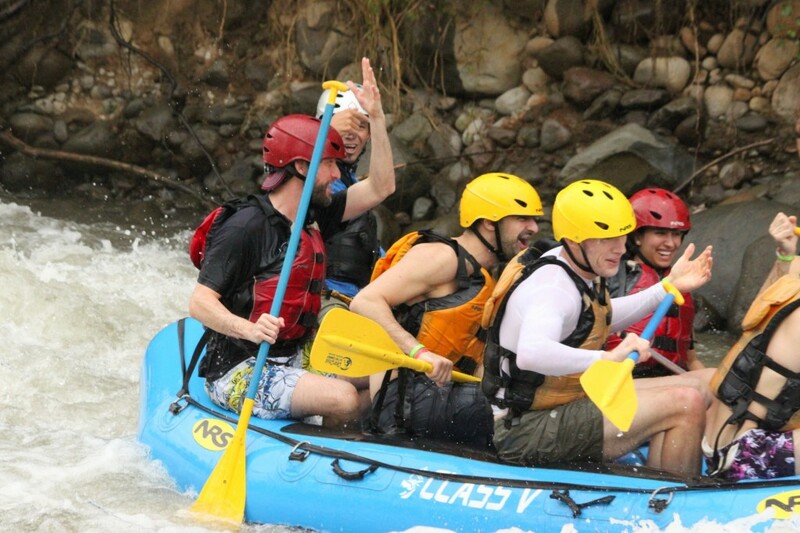 For those who don’t know rafting, it’s organized from levels 1-5, 1 being the easiest and 5 being for crazy adrenaline junkies. I know what you’re thinking – crazy, risk-taking Marcos only chose a level 1?! I guess marriage really has helped tame the beast. In any case, we board the van with 8 other people and arrive at the training station by the river to get the show on the road. We spent a a few minutes learning the basic commands and instructions for how to stay in the boat and how not to drown and die, all while trying not to be distracted by the fact that we were surrounded by hens and roosters. Then, a bunch of rafts filled with people stop at our station. 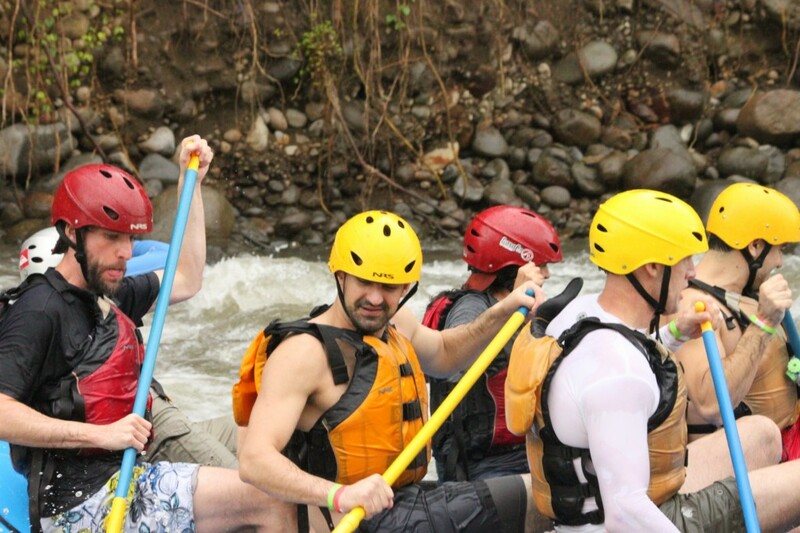 After a flurry of Spanish words get traded between our guys and theirs, Marcos and I suddenly find ourselves being separated from our group and being put on a raft filled with American frat boys and a skinny Tico by the name of Tony the Tiger. 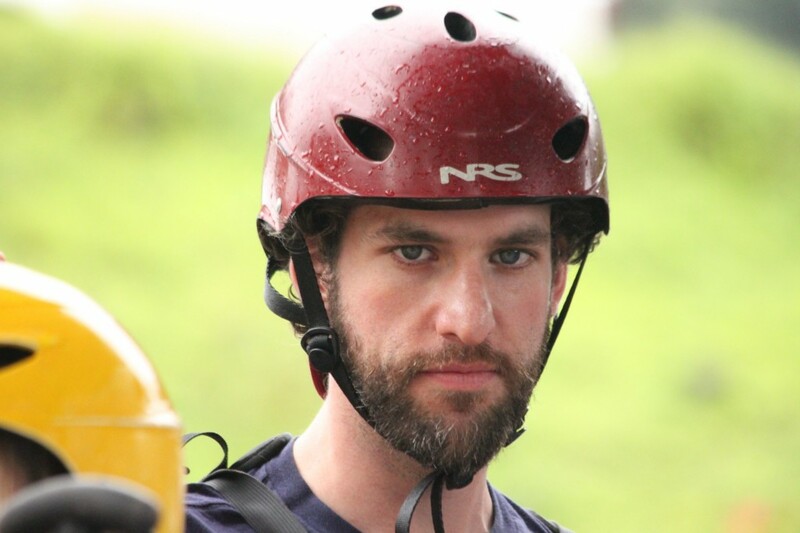 I thought that we were going to get to practice the basic movements and commands as our original guy had promised, but instead they threw helmets on us, and with a push, we were off. 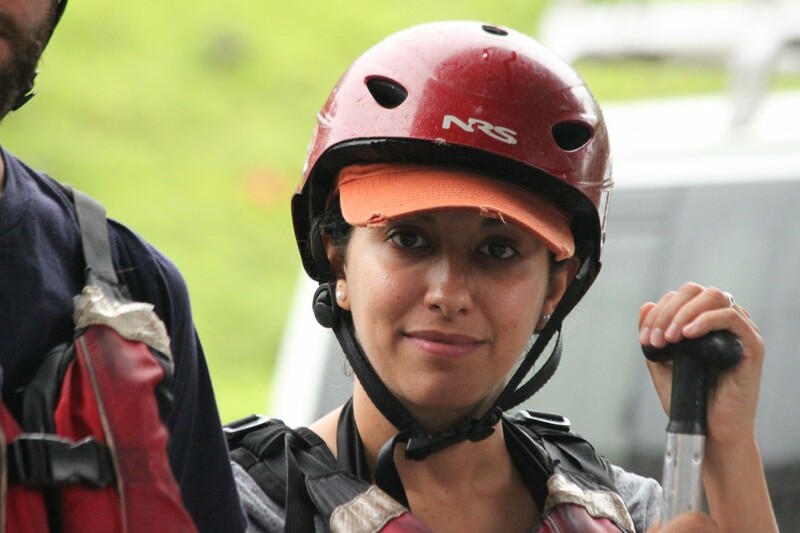 Before: White water rafting? Bring it on. Within about 30 seconds, we realized we were in for way more than we bargained for. 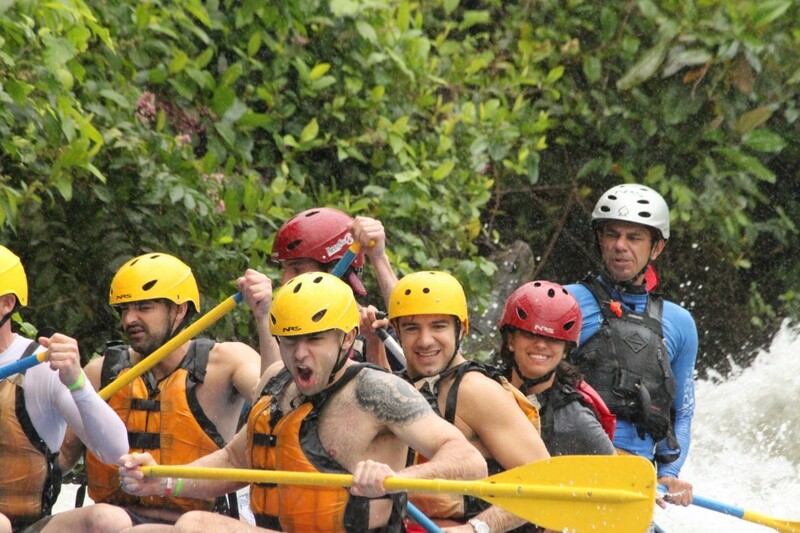 Our raft mates operated like a well-oiled machine, having been rafting together for the past hour. They kindly informed us that each had already fallen off the raft into the rock-filled, super-strong currents of the river. With commands like “get down!” and “row hard to the left NOW!” being thrown at us by Tony every 5 seconds, we had no time to process any of it… we were in pure survival mode. The Frat Pack was in adrenaline-fueled heaven, whopping and cheering the whole time. Somehow Tony the Tiger was able to maintain a conversation with Marcos, the only other Spanish speaker on board, the whole time. Marcos was mostly silent and looked even a little paler than usual. 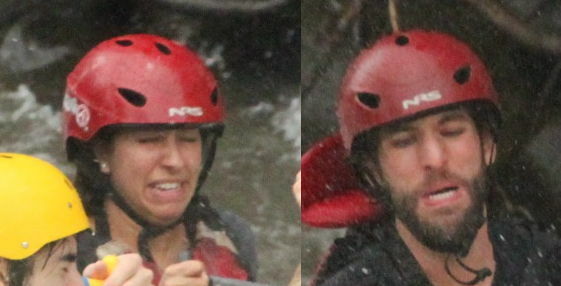 Thanks to the surrounding paparazzi, we can see the expression of our protagonists during their adventure. As you can see, the photos differ drastically from the ones above. Thankfully Marcos had the sense not to translate that last lovely piece of information for me until after it was over because he knew I would freak. During the ride, and despite my futile attempts at recalling any sort of psychological wisdom about warding off panic attacks, I did find myself having a good time. I think it had to do with seeing Marcos’ facial expressions in that masochistic wife kind of way….. Maybe I’m a worse wife than I thought. While the whole operation wasn’t sophisticated enough to keep the area clear of free roaming chickens, they did have a professional photographer running around the jungle with his expensive gear. Since we already overpaid for the CD, we might as well share a few with you. 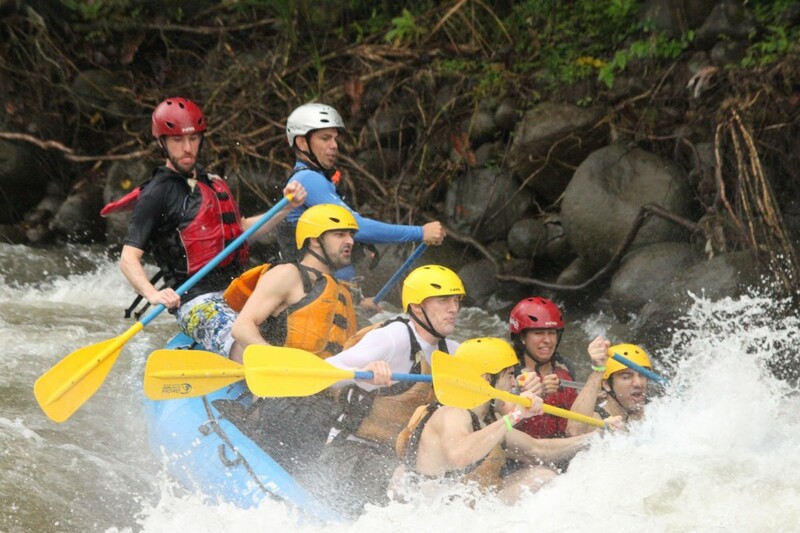 Click to enlarge (I recommend zooming in on Marcos’ face – we’ve discovered he has a “rafting face” that has not popped up in any other situation). 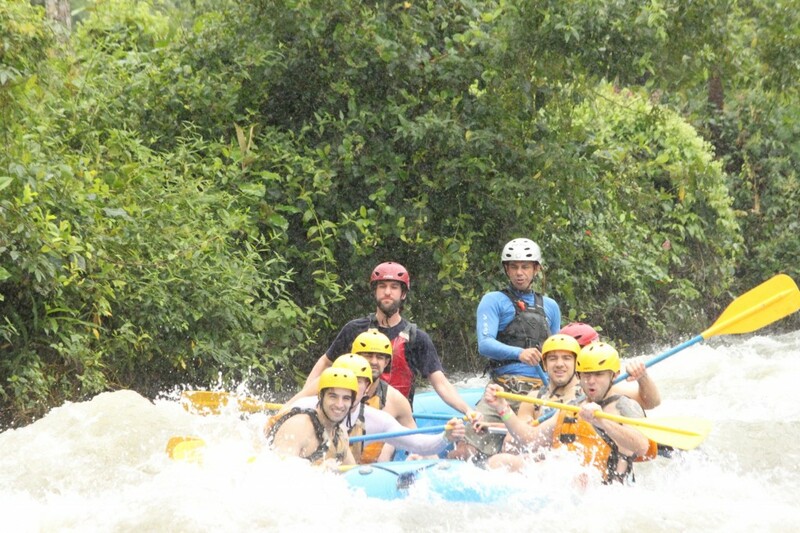 Somewhere beneath everyone there is a raft. Shlomit didn’t even have to close her eyes. Right before the adrenaline crash. Marcos should change the name of the site to “The Shlomit Kirsch experience (SKX)”, she brings quality to the posts in the blog.